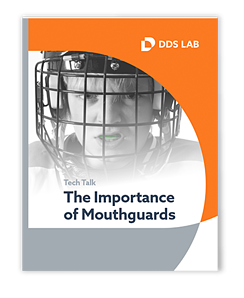 Researchers are actively studying how mouthguards may aid in reducing the severity and number of concussions by helping to absorb and disperse the impact of a severe blow to the chin, face, or head. What is a sports mouthguard? What are sport-specific protection levels? Complete this form to download your free copy of our TechTalk. We will always keep your information safe. “With so many labs to choose from, I have used DDS Lab exclusively for the last six years for these obvious reasons: excellent customer service, ease of communication with the lab techs, copious knowledge of both the lab techs and the CDTs to help plan large complex cases, and superior lab work—from single crowns to esthetic cases. PRACTICE CONFIDENCE - WHY WORK WITH DDS LAB? From our first conversation to final delivery, you can expect quality—meaning you experience fewer remakes and faster turnaround times on your restorations. Your success is always our priority. With our support, your practice thrives. Whether you know exactly what you’re looking for, or you want advice on a complex case, we’ll put our experience to work for you. You’re busy, and so are your patients. With DDS Lab, scheduling is easy. You receive daily notifications that detail case status, expected delivery date, tracking information as well as your invoice for every case.